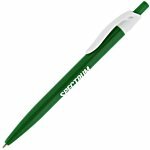 A great promotional product makes your brand shine. And these promotional drawstring bags don’t disappoint. These new 4imprint® Exclusive reflective promotional items use reflective ink to make the bags—and your brand—stand out. Commonly used on clothing designed for safety, this special ink now finds itself on all kinds of clothing, bags and other items for one obvious reason: It looks cool! The ink shines due to tiny reflective glass beads that catch and reflect any light that hits them. And on these bags, this super-cool ink is sure to make onlookers pause and reflect on your brand. The Galaxy Reflective Print Sportpack, Exclusive will turn heads for its bold look and ability to hold gear in the front slip pocket and mesh bottle pocket. 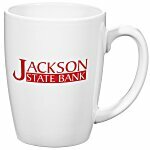 With a variety of reflective dots of different sizes on the top panel, it can serve as a reflective promotional item for a late-night company nature hike, evening fun-run, or science museum or planetarium fundraiser. 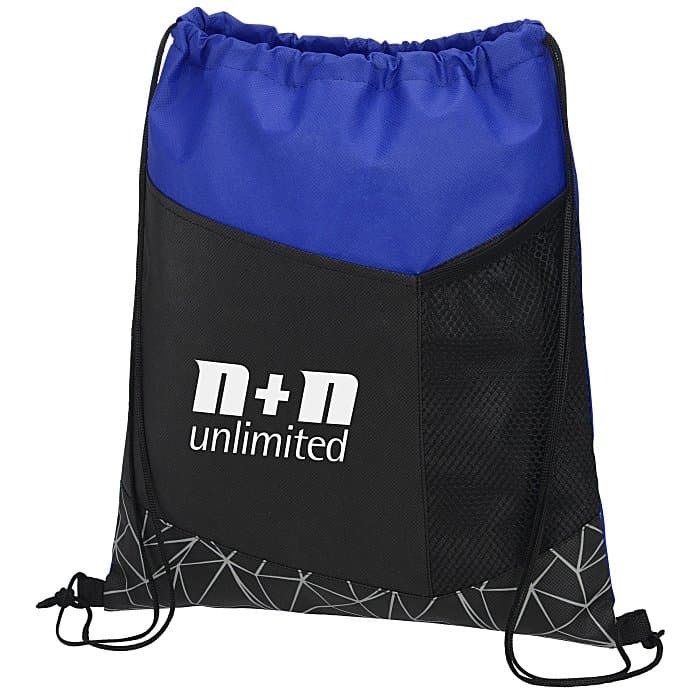 The Geometric Reflective Print Sportpack, Exclusive has the same great storage capacity, but changes up its reflective ink pattern, placing it on the bottom portion of the promotional drawstring bag. Both practical and flashy, it’s certain to help you catch attention and get visitors talking at a trade show or community event. 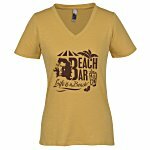 Looking for a giveaway that will brighten your recipients’ day? 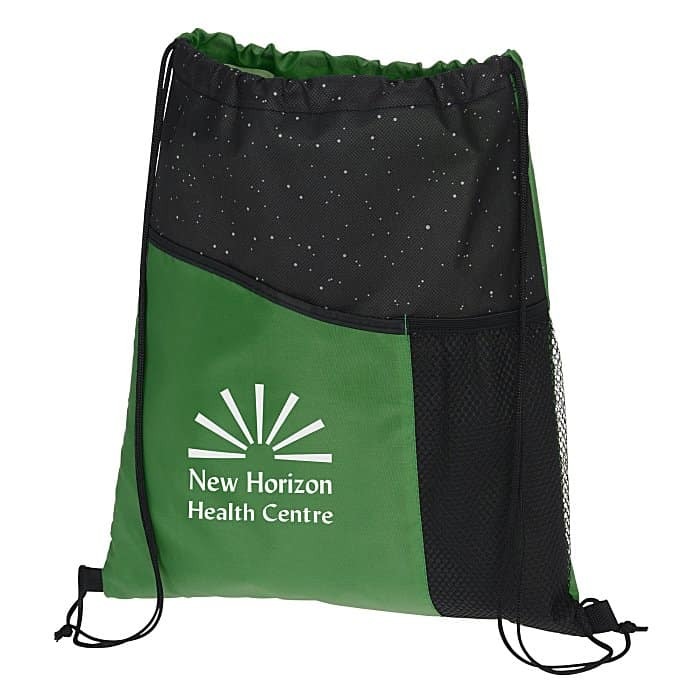 These promotional drawstring bags are the perfect item to help your brand shine. Melanie has been with 4imprint 11 years and is a Senior Category Manager for some of our fastest-growing categories. From backpacks to tote bags and notebooks to journals, Melanie writes about popular brands and trends in bags and stationery products that you’d be proud to put your logo on. Boost brand awareness with our Exclusive custom promotional bags that are designed with a printed, textured look that offers style at an affordable price.